Simeon Djankov, the Minister Finance said in August 2010 that he would lead several Bulgarian ministers on working on the drafting of a National Strategy for the development of cultural tourism and cultural tours to Bulgaria. and to fund the reconstruction of the road to the Makaza Pass on the border with Greece for the international tourism traffic and cultural tours in Bulgaria. The road to the Makaza Pass is part of the Pan-European Transport Corridor No. 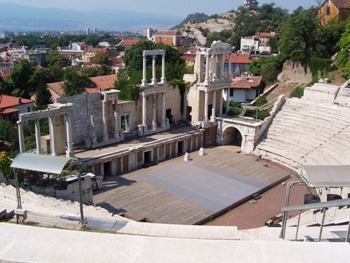 9 leading to the newly exhibited historical monuments of Greece and Bulgaria.